Classiest water bottle I ever did see! It almost looks like The Force is glowing through it! But it’s not. It’s just a cool peach emblem. But doesn’t it look COOL? 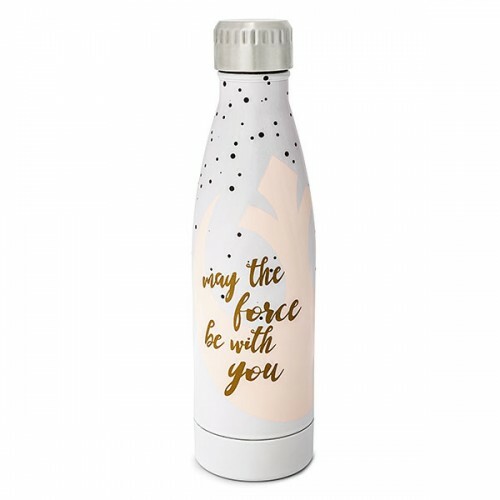 We’re prepared to tote this Star Wars Stainless Steel Insulated Bottle with us wherever we go, filling it with WHATEVER delicious beverage we want, and looking very stylish while doing so. That’s cute, and I love the shape of the stainless bottle. They need to do a Princess line of these!